1950 MG TD With an interesting history. XS 6931 was originally owned and raced by Archie Scott Brown and features in the book Archie and the Listers. I bought it in October 1984 and have attended several interesting events as a result including the 2nd Goodwood Revival and the blue plaque presentation at Marshals Airport Cambridge attended by Brian Lister with guest of honor Murray Walker. The car was at the head of a group of 12 assorted Lister cars for this one off event with some 250 invited guests. 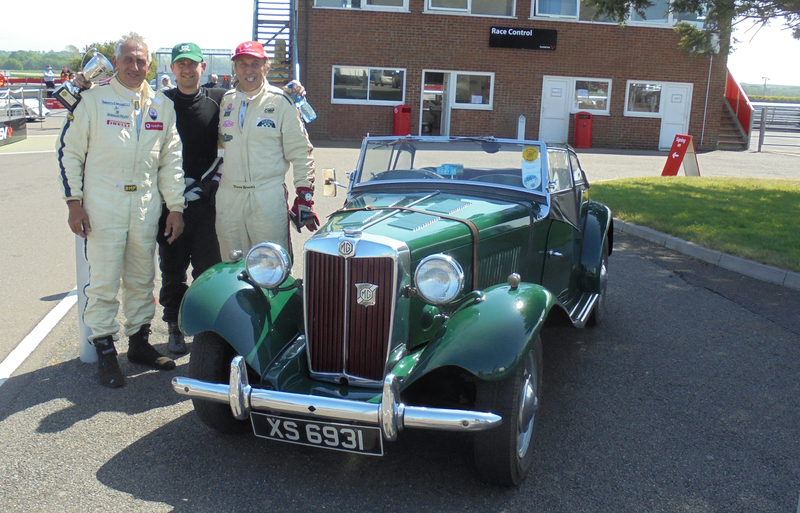 The picture is with the three Lister drivers who took 1st., 2nd., & 3rd place at the Archie Scott Brown Trophy race at Snetterton on Sunday 5th June 2016.